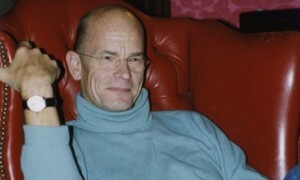 The death of Peter Goldie in 2011 was marked with great sadness by his many friends in the fields of philosophy and business, his two career worlds, as well as by his wife Sophie and sons Alexander and William. Whether it was working in high finance or deep in thought, Peter’s humour, generosity and intelligence drew people from all walks of life to him. But it as is a group that has particular reason to be appreciative of Peter and his unique set of attributes that we (a representative sample of his recent graduate students) wanted to share our experiences of Peter as a teacher, mentor and friend. The region within the strange world of academia occupied by British analytic philosophy is remarkably peculiar; for many students it is difficult to navigate its waters alone. Peter was a beacon of kindness and sensitivity who guided his students through difficult terrain. The ideal supervisor is a source of support who is perceptive of the anxieties that inevitably accompany a project as vast and daunting as a PhD; he is encouraging and builds one’s confidence in one’s philosophical credentials, whilst being sufficiently critical or, at any rate, creating impetus for one to explore and learn to approach things in ways that go beyond familiar territory. In Germany, students capture this ideal with the term Doktorvater, doctor-father. Peter was a doctor-father, if there ever was one. He inspired, challenged, supported, criticised, guided, motivated… and he really, really took care of us. One was always sure to come out of that sunlit office, to get up from that comfortable armchair where he made us sit, with new challenges and new energy. One of the most salient features of Peter’s supervision was his capacity to make his students feel confident about their abilities. While Peter’s encouragement was often direct and explicit it was also intimately involved with the way in which he approached the supervisor-supervisee relationship more generally. Most noteworthy was Peter’s particular ability to make one feel worthy of his undivided attention and respect – not just qua graduate student, but as an individual with particular concerns, interests (and insecurities) and as bearing a particular relationship with him that is characterised by its own shared experiences and history. Peter’s own personal narrative might have found its close but his memory and influence will be an integral part of our narratives, professionally and personally, for as long as we continue to construct them.